So, Coffee Lake is real, it’s here, and you can buy it; but should you? Let's start wrapping things up. First we should address the elephant in the room: the proximity to Kaby Lake’s release, and indeed the Core X enthusiast platform. It is absolutely regrettable that those who recently invested in Kaby Lake, perhaps even in the last few months, would have been far better off waiting for a release apparently scheduled for Autumn 2017 some time ago. At every price point there is a Coffee Lake model that is, on paper, a major upgrade over Kaby Lake equivalents. Dissatisfaction will be further compounded by Z270 motherboards not being forwards compatible with the new CPUs, despite similar architecture. All we can say is that Intel are going to have to work hard to reassure loyal customers that their future purchases will not again be rendered obsolete within ten months of them being ‘new’. For example, when Cannonlake may hit the market. Just as critically, Coffee Lake has rendered irrelevant Kaby Lake X CPUs at a stroke. It really is impossible to see any value to quad-core CPUs on the Enthusiast X299 platform without a major price cut. On the other hand a real and welcome dilemma between 8700K and 7800X has reared its head. With similar price points but quite different feature sets in terms of PCI-Express lane provision and on-board graphics, making sensible recommendations between the two will be the bread and butter of system integrators for some time to come. For our money the i7-8700K hedges it for most use-cases, but it’s a close run thing. That being said, consumer chagrin would be unwarranted were Coffee Lake only a minor step forward over the previous generation. It’s a mixed blessing therefore that the i7-8700K is, in our testing, a substantially better performer than the i7-7700K. Multiple synthetic benchmarks exhibited double-digit percentage improvements over its processor, and thanks to Intel’s Turbo Boost 2.0 Technology it lost little headway in situations where all cores didn’t hit 100% utilisation – gaming for instance. All this comes without introducing a huge premium into the range for the new cores. 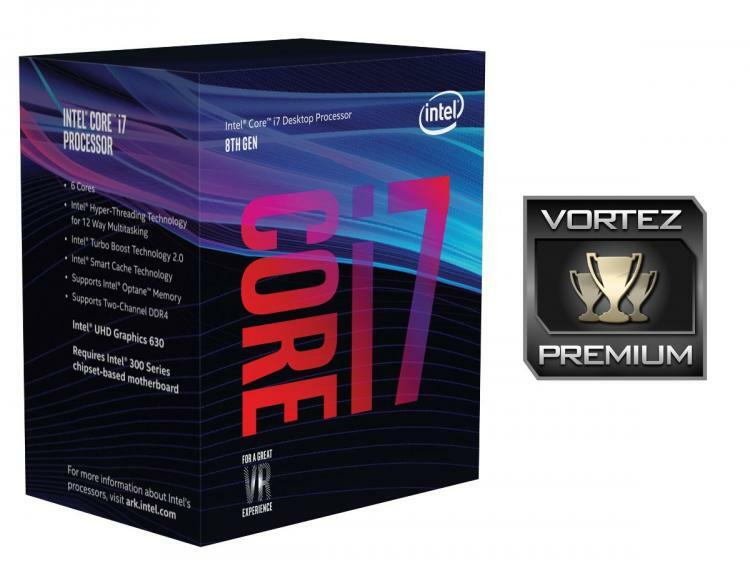 At the top end the MSRP of the i7-8700K is $20 (5%) more expensive than the 7700K, and the i5-8600K commands a similar differential to last year’s unlocked quad-core i5-7600K. 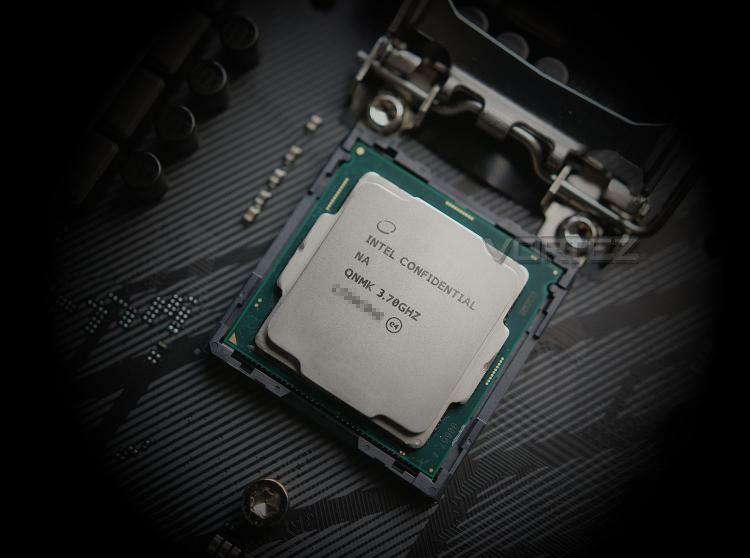 On paper, and in our testing for the 8700K specifically, the 8th Generation Core CPUs are far better bang for your buck than the platform it replaces. If you’re worried about overclocking, you perhaps needn’t be. Although once again Intel continued to use ‘paste’ TIM between CPU die and heatspreader, we were still able to push our engineering sample to 5GHz. That’s a little less than our i5-7600K (which hit 5.1GHz), a little more than the i7-7700K's 4.8GHz, and still three bins above the max turbo and on standard cooling for a modern gaming platform. Veteran overclockers will no doubt be able to push the platform much further. So, how does it compare to AMD’s resurgent mainstream range? Well, the jury will be a little more split. Whilst the i7-8700K is a step forward for Intel in so-called ‘mega-tasking’ scenarios, it certainly doesn’t dominate AMD’s 8-core Ryzen chips and is put in the shade in some synthetic tests that favour heavily threaded tasks. Gaming performance however still favours the Intel CPU thanks in part to aggressive single/dual-core clock speeds and higher IPC, and the monolithic chip design likely allows it to use its capacious cache more effectively. And that’s really the take home from both the Core i7-8700K, and the Coffee Lake as a whole. Far more bang for your buck, better multi-core and multitasking performance than its predecessor, and a meaningful advance in Intel’s mainstream product segment. We’re excited to see what will be possible with the new quad-core unlocked i3 and six-core i5, and it’s been a while since we’ve said that of Intel’s complete lineup! The Core i7-8700K is the ideal counterpunch to AMD’s top-end Ryzen CPUs. Featuring six discrete cores and 12MB of Cache, it’s a step forward that Intel ideally should have made on their mainstream platform sooner. Good synthetic performance metrics are paired with reliably great gaming, power efficiency, and a full-featured platform that includes on-board graphics and improved sound. Well worth your consideration, and we grant it the Vortez Premium Award.